If you need fuel delivered to Swansea, call Crown Oil. We are red diesel suppliers in Swansea offering any type of fuel, including biofuels and delivering on a nationwide scale. We can deliver you red diesel quickly to any location. If you are looking for a reliable fuel supplier, Crown Oil is the one to choose. If you order red diesel frequently, we offer a free fuel management service, where we monitor your fuel consumption and contact you to arrange your next delivery before you run out. This way you can be sure you will never run out of fuel. Call 0845 313 0845 to contact Crown Oil or, please fill in the form tot he right of this page for a live quote. Swansea is the third most populous county in Wales. It is a coastal city that is in the South West Wales coast. Once, it was a copper town and then it developed to the trading town that it is today. Today, it is an epitome of its trading past where all manner of industries are found. Swansea is the centre for fuel and diesel suppliers in South West Wales and its precincts. Red diesel fuel has fast become an economic fuel option for many people and the South West Wales is not different. Red diesel is the economic fuel, which is used in off road vehicles and machinery that are used in farms and factories. 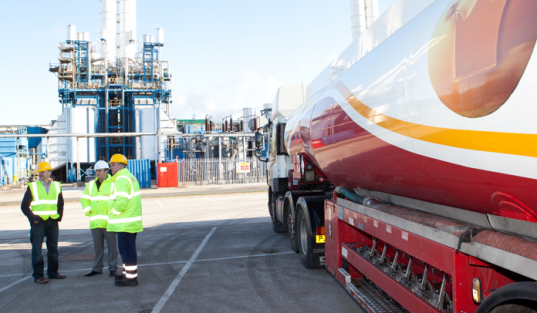 Also referred to as 35 seconds, gas oil, medium diesel and heating oil among other names, the red diesel Swansea suppliers that you will find in this coastal industrial city will bring your order right to your doorstep. Red diesel is minimally taxed thus making it far cheaper than the normal white diesel. However, in England, it is illegal to use it as fuel in automotives or for other purposes other than which it is prescribed for. The good news is that whatever you want to use it for, the diesel suppliers who teem in Swansea will bring it right to where you need it. Red diesel Swansea suppliers will bring your order by truck and in whatever volume right where you want it. Most diesel suppliers from this city work on a 24/7 basis and therefore any day any week is a workday. Their prices are competitive and as an economy fuel for heavy machinery and equipment, you will not get any better suppliers anywhere else. Tankers are a common sight on the roads of Swansea and its neighboring towns, ferrying fuel to several designated points. Whatever your needs for red diesel are you just have to call in your order and it will be handled by red diesel Swansea suppliers expertly. From large volumes like 36,000 liters to 205 liters, all your fuel needs will be solved here.